Two Under 7 teams at Euxton Villa FC kicked off their latest matches in new kits from award-winning housebuilder Anwyl Homes Lancashire. 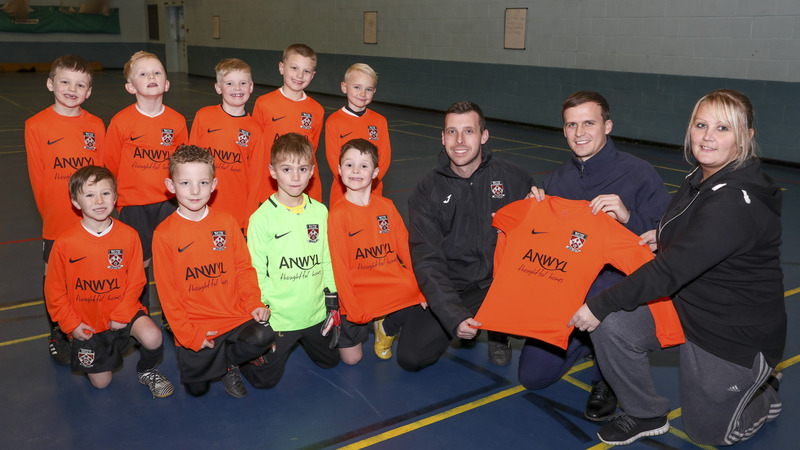 The teams, who train at the sports hall at Parklands High School in Chorley every Wednesday and play matches across Lancashire, were delighted to receive the branded kits in the Club’s striking orange and black colours. With Anwyl’s office located at Buckshaw Village, the housebuilder was delighted to lend its support to the Club, which was established in 1907 and has a long history of playing successful football in the West Lancashire League. With 24 teams, the Club is committed to recruiting the right coaches to help the development of each team, with many of its players progressing to the professional game. From the Under 7 teams, three of the boys currently train and play with Manchester United. Part of the Anwyl Group, Anwyl Homes Lancashire is a growing region with Carr’s Rise in Prescot well underway plus Edenhurst Park in Liverpool, Lea Grange in St Helens and Inglewhite Meadow in Longridge all coming soon.